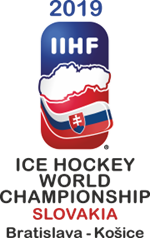 Great Britain Women suffered final-day heartbreak as they lost 4-0 to Netherlands Women, who win the gold medal and promotion from the World Championship Division 2 Group A in Maribor. GB take home the silver medal after four wins in their five matches while DPR Korea, who won three of their five games, claim bronze. Netherlands dominated for much of the game and outshot GB 13-2 in a scoreless first period. Savine Wielenga’s shot from point through traffic on the powerplay put the Dutch ahead at 21:06 and Kayleigh Hammers’ powerful bullet made it 2-0 at 26:47. A crucial turning point in the game saw Netherlands see-off 90 seconds of a five-on-three penalty kill and they scored their third at 39:17 through Julie Zwarthoed on the rebound. Bieke van Nes’ neat finish wrapped the game up at 40:35 as Netherlands netminder Nadia Zijlstra secured a 19-shot shutout. Forward Angela Taylor, playing in her final game for her country, was named as GB’s player of the tournament and also won the Great Britain Supporters’ Club player of the tournament for a second successive year. GB Women head coach, Cheryl Smith, said: “We gave it our all but they were just better than us on the day. “Credit to Netherlands they played a brilliant game and we just couldn’t match them.